Vitex DOT-3 is a high performance brake with the boiling point is not less than 205 °C. It is designed to be used in brake systems of all types of cars. The advance glycol-based formula with additive package performs excellent lubrication qualities which assure free motion of brake cylinder pistons. Efficient at the outside temperature range from -50 °C to +50 °C. 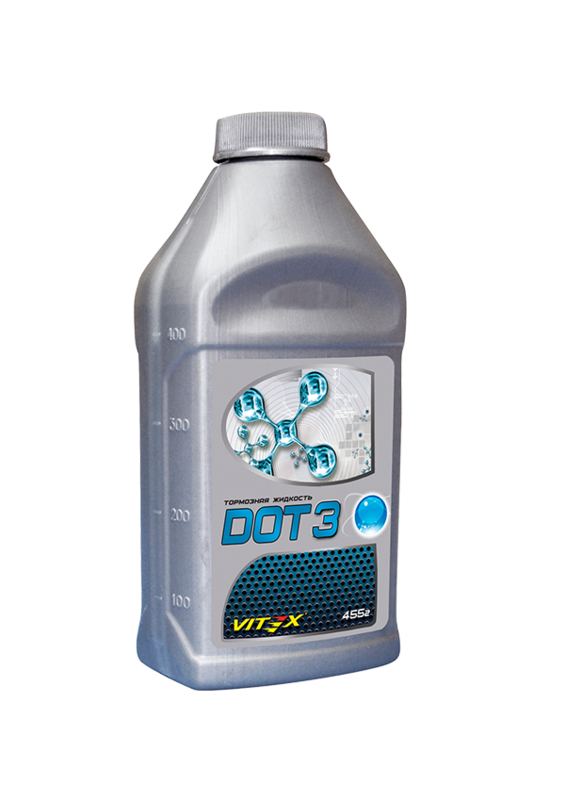 Compatible with all glycol based brake fluids DOT-3 and DOT-4. Meets international safety standards and specifications SAE J1703, ISO 4925, FMVSS 116. Brake fluid production meets ISO 9000.